Kim of Red Dirt Farm • This entry was posted in Art, Coral Cottage South and tagged art, art tiles, arts, board walk artisans, coastal living magazine, dragonfly, fused glass, insects, lake, nature, ocean, outdoors, photography, pond, red dragonfly, water color. Bookmark the permalink. Lovin’ all these amazing dragonflies. The red ones are fabulous! Thanks Kim. Thank you – it is such a pleasure for me to be able to see all the cool things our group puts together. We have some real talent in this group. 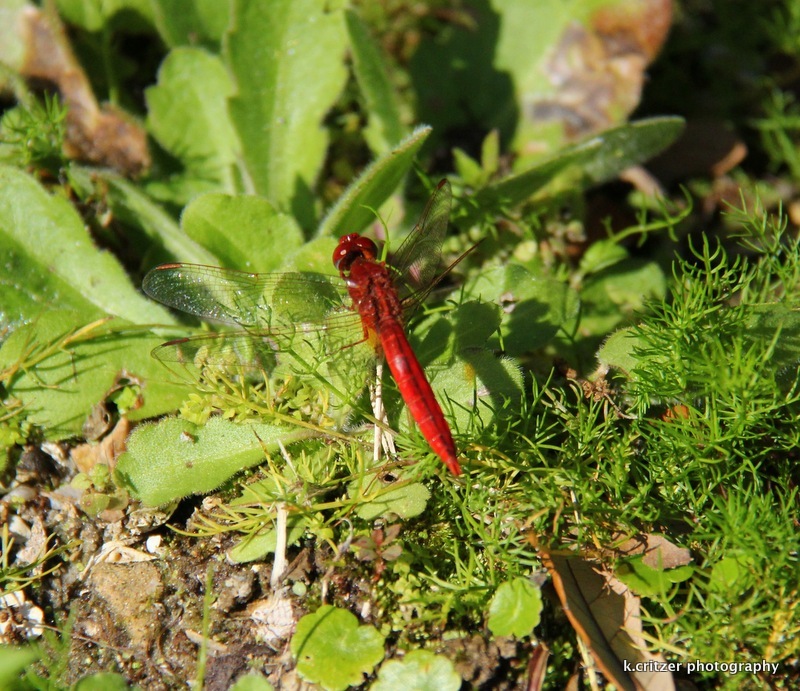 I didn’t even know that red dragonflies existed….lovley! Pretty cool, huh. I bet you saw a lot of them in your past water life. Yes, I always enjoyed the dragonflies and as a child found them so fascinating! We only had blue ones, though; they are beautiful but as I’m not on the lake anymore, but in the woods, I don’t see them anymore. Miss them! Thanks for sharing your green parts! Ha Ha! If I find my blue parts, I’m gonna share those, too! Ola! YAY you, for swimmin’ south! I know your loving it. 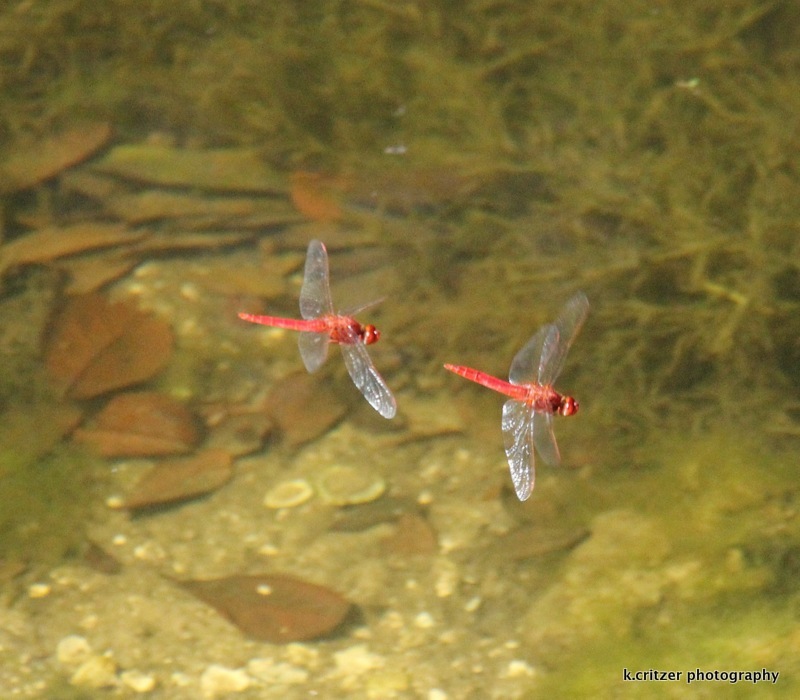 So cool, 2 dragonflies for the price of 1! I’ve never seen a red dragonfly before, we only have grey ones in Melbourne. The red ones are amazing!